Whether you are planning to visit Belize on an upcoming vacation or you're considering retirement on the nation's beautiful beaches, you will have countless opportunities to explore the country. Although many visitors gravitate toward the expat communities and resorts on Ambergris Caye, mainland Belize is also a fantastic destination for a day trip. Kids and adults alike will appreciate the Belize Zoo, a wild attraction located halfway between Belize City and Belmopan. What Animals are Found at the Belize Zoo? The Belize Zoo is home to more than 120 different species, all of which are local to Belize or Central America. Mammals are the biggest attraction at the Belize Zoo, and it is possible to spot tapirs, jaguars, black howler monkeys, wildcats, white-lipped peccaries and ocelots. You will have to chance to spot these mammals in their living environments, and there is even the opportunity to participate in special activities like petting a jaguar or cuddling with a tapir. Bird watchers will appreciate that the Belize Zoo is home to toucans, scarlet macaws, great egrets and even an endangered Jabiru Stork. If it's reptiles that you're after, don't miss out on the snakes, iguanas, crocodiles and frogs. What sets the Belize Zoo apart from many other zoos in Central and South America is that the animals are not captured in the wild. Instead, the zoo serves as a kind of refuge for injured animals in need of rehabilitation, animals donated from other zoos who no longer have the resources to care for them, those who were rescued from illegal pet sales and animals that have been born and raised in captivity. The Belize Zoo also aims to be a responsible, educational attraction by only hosting those animals who can naturally survive in the climate of Belize. You won't find any penguins or cold-weather friends here! How Can Visitors Get to the Belize Zoo? The Belize Zoo is located on Mile 29 of the Western Highway, and drivers can get there from Belize City in just under 45 minutes. Coming from Belmopan, the drive is approximately 30 minutes. Buses and shuttles are popular ways to get from the Belize City Airport or cruise piers to the zoo, any many hotels will organize transport for guests. Those who drive with personal vehicles will find ample free parking just a short walk from the entrance of the zoo. Whether you're coming from Belize City, Ambergris Caye or Belmopan, there are a number of attractions to explore near the Belize Zoo. In Belmopan, visitors love the Mayan connections at St. Herman's Cave, the ancient ruins of Caracol and the city market held on Tuesdays and Fridays. In Belize City, top attractions include the Belize Museum, the Eco Museum Belize and the fantastic eateries and bars that overlook the water. Even with the variety of attractions, landmarks and destinations that Belize has to offer, the Belize Zoo is a top pick for all ages. 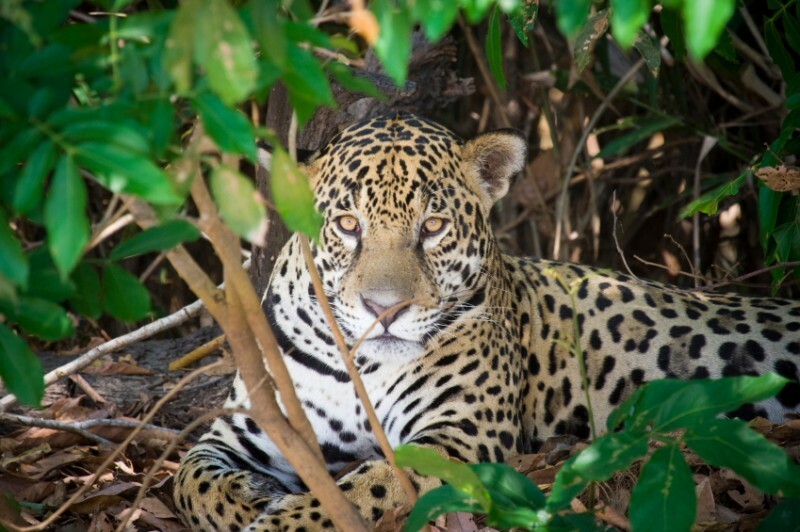 Visit to get up close and personal with jaguars, tapirs and all sorts of native wildlife. Discover the amenities of Grand Baymen to make your vacation to Belize memorable and comfortable.